As automakers and their suppliers increasingly conduct engineering design and development in Canada, the province of Ontario has introduced a Manufacturer Licence Plate program to aid that trend. Primarily intended to allow public-road testing of prototypes and pre-production vehicles, the M-plates are registered to the manufacturer and are not specific to the vehicle. Hence, they can be moved from one vehicle to another without going through the usual re-registration procedures. 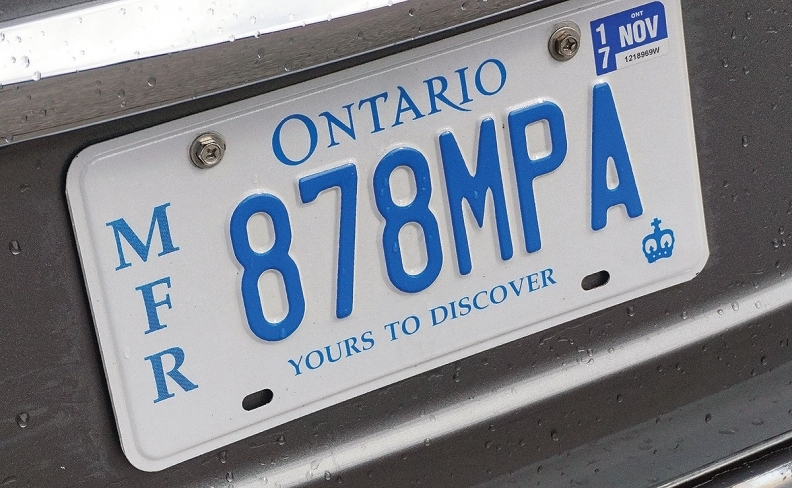 The plates “exemplify Ontario's support ofautomotive innovation and emerging technologies and a commitment to building a strong economy,” said an original Ontario Ministry of Transportation (MTO) proposal to add the plates. M-plates have a long tradition in Michigan, and more lately in some other U.S. states where automakers build and/or test vehicles. The Ontario program quietly took effect Jan. 1, 2016. “It has exactly the same functionality as a dealer plate,” says Shannon Koot, corporate vehicles manager at Nissan Canada, which has about 30 of the plates. The MTO’s original proposal was in response to “requests from domestic and global automobile manufacturers to plate pre-production vehicles (vehicle stage prior to production) for testing new technologies, product demonstration and exhibition (e.g. media launches).” In practice, some automakers use the plates on regular production vehicles, such as for the press. Vehicles conventionally registered in Ontario are required to bear licence plates on the front as well as the rear. In the case of M-plates, only a rear plate is required; the absence of a front plate provides a cleaner look for photography, advertising and marketing purposes. As of this writing, 18 automobile manufacturers and three motorcycle manufacturers have been issued a total of about 600 plates. Manufacturers save money down the road by avoiding transfer fees and the administrative process of transferring a plate from one vehicle to another. To be authorized to purchase M-plates, automakers and component manufacturers must apply to the Ministry of Transportation’s Vehicle Programs Office (VPO). On approval, the VPO issues a letter to authorize the purchase and use of a Manufacturer Plate.